Ilfordin ISO 100 mustavalkofilmi. Rajattu 100 kappaleen erä Kameratorilla. 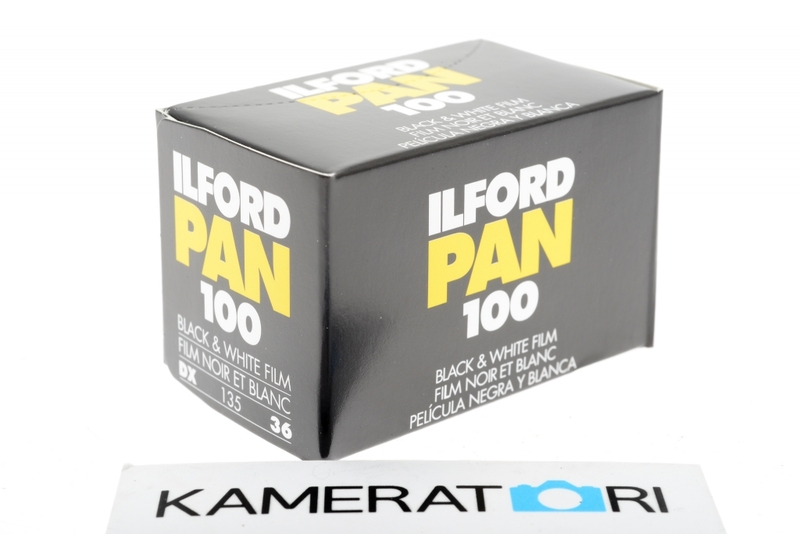 Ilford Pan 100 is a medium speed black and white film which offers outstanding tonal rendition, together with fine grain and high sharpness. PAN 100 is suitable for most general purpose indoor and outdoor photography applications where good lighting exists, it is particularly suited to portraiture. When processed as recommended PAN 100 produces negatives that allow a high degree of enlargement. Ilford Pan 100 has a high degree of exposure latitude,1 1/2 stops under to as much as 5 stops over, making it easy and reliable to use in difficult lighting conditions.